The Firefly Residency project is based on the principals and teachings of renowned educator Vivian Gussin Paley, an American pre-school and kindergarten teacher and early childhood education researcher. Paley’s biggest legacy is in the area of storytelling and fantasy play, which she argues can significantly impact a child’s academic and social growth, as they help young children make sense of the world around them, adapt to the classroom, develop language, and collaborate with peers. Respected theatre artist and arts educator Linda Carson discovered the Firefly Project when she visited TAG Theatre in Scotland. With their permission, she adapted the project for use in Canada. Linda brought the project to many schools throughout Ontario, many in remote communities. In 2012, Linda trained artists at Theatre Direct and passed the Firefly’s glow onto us! Thank you Linda! Over the last few seasons, we’ve continued to adapt and develop the project for Toronto schools and modified aspects of the approach to serve children with Autism and development disabilities. Theatre Direct has undertaken residencies at Crescent Town Elementary School, John Ross Robertson P. S., Kingslake P. S., Withrow School, Beverley School, Dovercourt P. S., Elkhorn P. S., The Mabin School, Secord Elementary School, Thorncliffe Park P. S., Fraser Mustard Early Learning Academy, Clinton Street P.S., Shirley Street P.S., Cedarvale Community School, Carleton Village Sports and Wellness Academy, Eastview P.S., Emily Carr P.S., and Fairbank Memorial Community School. Lynda Hill, Melissa Haddad, Jessica Runge, Randi Helmers, Derek Kwan, Michelle Silagy, Victoria Stacey, Kristin Rodgerson, Ginette Mohr, Ingrid Hansen and Emma Zabloski. 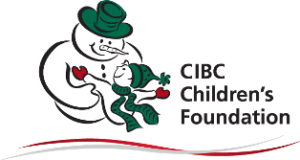 The Firefly Project and Lost and Found are part of Theatre Direct’s Arts from the Start programme funded by CIBC Children’s Foundation. The Firefly Project is produced with the support of the City of Toronto through the Toronto Arts Council.